Available through the Albatros Productions website www.windsockdatafilespecials.co.uk or specialist retailers. 44 pages plus covers, text, colour photographs, black and white archive photographs; scale plans; colour profiles. 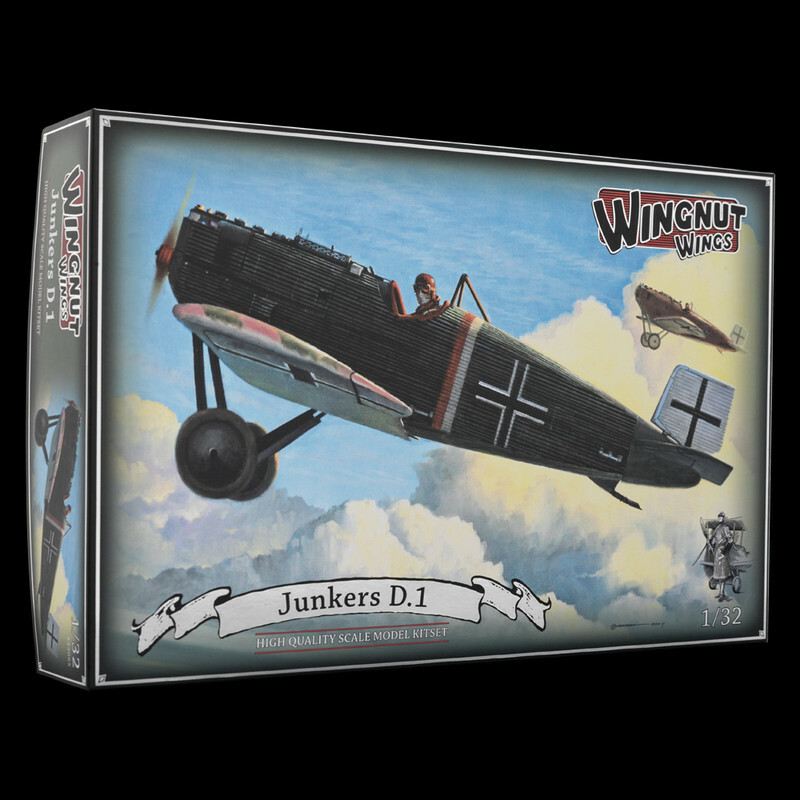 There was widespread surprise early in 2018 when Wingnut Wings unveiled its surprise new release- a Junkers D.1 monoplane. This was a real “out of left field” release as the type is fairly obscure, only a handful were produced and it saw virtually no combat role in WW1. Nevertheless it was a game changer, significant for being the world’s first all-metal fighter to enter service. The clunky corrugated metal fighter saw minimal use in WW1 but served in the Baltic in 1919 campaigns. 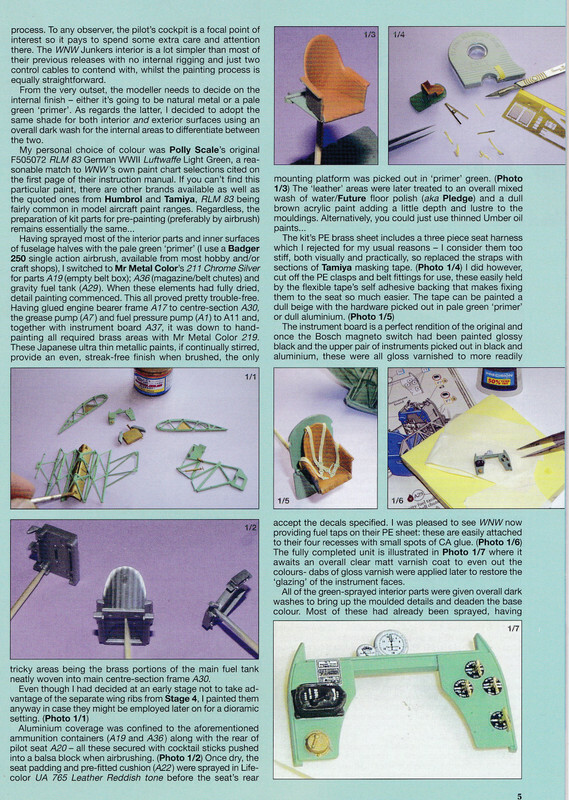 So why did Wingnuts do a 1/32 scale kit of the type? The obvious reason is because they wanted to do so, but I suspect there’s a more subtle strategy here too. 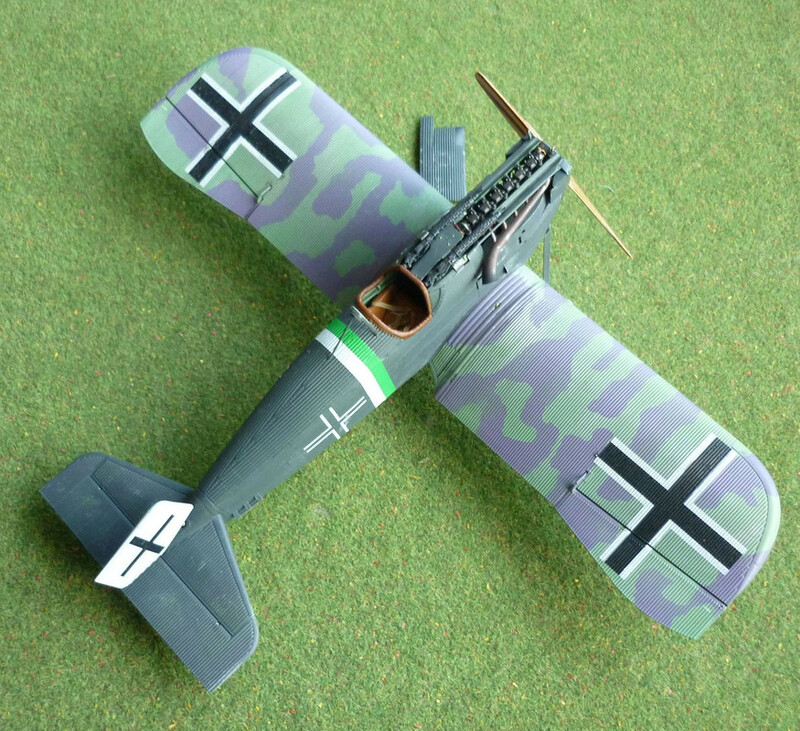 The Junkers D.1 is an almost perfect introductory model for new WW1 modellers. It’s a monoplane with minimal parts compared with some other kits and almost no rigging whatsoever so an ideal starter kit, with the bonus of having a distinctive “clunky’ look that will endear it to Steam Punk genre fans and those who fancy ‘what if?’ schemes had WW1 continued through 1919 as well as its actual service in the Baltic fighting of 1919. It’s a beautiful kit anyway and is now the subject of Albatros Productions’ sixth modelling special which is essentially a one-stop shop for anyone wanting to build the model. Ray Rimell’s Windsock stable has rightly become the default setting for quality assessments of new Wingnut kits. Ray’s latest publication has an excellent variety of build and detail articles- copiously illustrated with colour photos, plus a nice blend of contemporary reference photos, delicious close-up images and all of it augmented with a multi-page assortment of new Marty Digmayer 1/32 scale plans and Ronny Bar profiles. Special mention should be made of the cover- a blend of Ray’s models in flight on a digital composite background by Jerry Boucher. This dramatically frames the whole publication and is a striking and visual way to frame the Special. 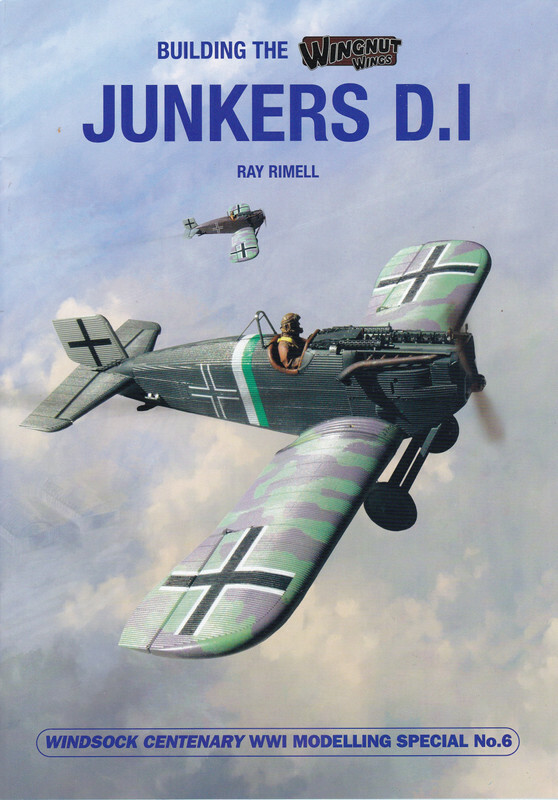 There’s much to be found within these 44 pages – a detailed step by step build log with abundant colour photos; original wartime images and sketches; a 1920 facsimile of some of the type’s inner workings; painting and finishing techniques and a photo study of the sole surviving Junkers D1 in France. But wait, there’s more! Author Ray Rimell has added sections offering general building and finishing advice for Wingnut kits which reinforces the view that this release is also aimed at starters in WW1 modelling. 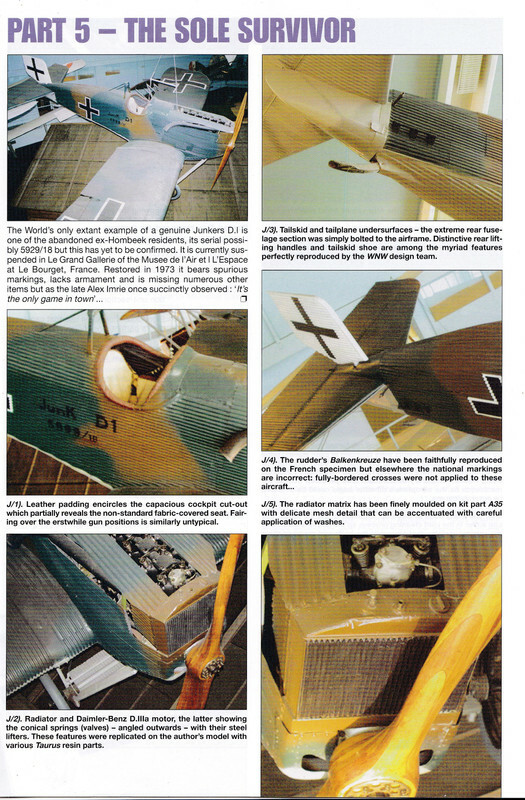 Furthermore Ray has featured a wonderful seven page spread of excellent reference images from the archives of renowned modeller/ historian, the late Harry Woodman, to whom this publication is dedicated. The Special is profusely illustrated which is a major plus as most modellers- especially this reviewer- find clear illustrations a crucial help in following build logs or learning new techniques. It is rounded out with a useful list of available aftermarket accessories for the kit and web links to the manufacturers as well as a detailed appendices for further reading. We hope Ray Rimell will ultimately give us Specials for the entire Wingnuts range. 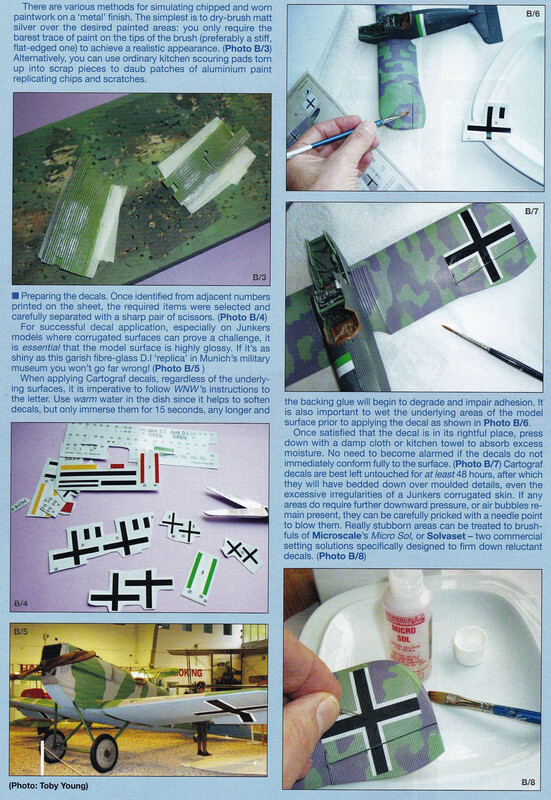 These and the Wingnuts instruction booklets give the modeller everything needed to get the most from their Junkers D.1 kit and incidentally would also benefit modellers working in other scales, on the Roden 1/48th scale Junkers D.1 for example. 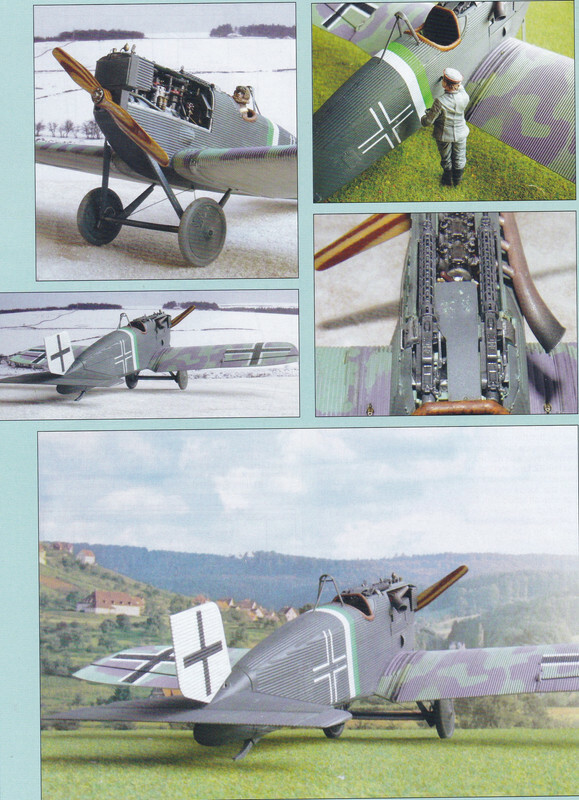 Paired with Wingnuts’ own excellent instruction booklet, (an invaluable reference work in its own right), this Albatros Productions’ modelling special is an essential “must have” for anyone making the Wingnuts Junkers D.1.